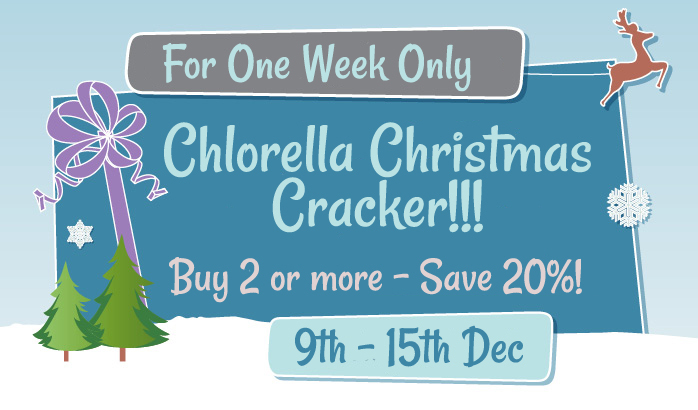 Chlorella is our customer's most favourite supplement, so for this week, you can buy two and save 20%. It's the perfect supplement giving you everything your body needs in a totally natural form. Ideal for supporting all round health and vitality during the busy Christmas season!